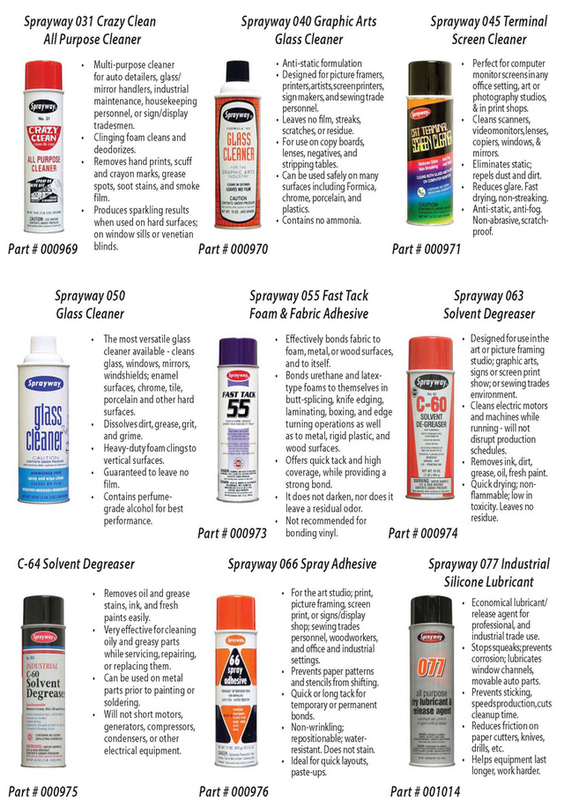 Jorson & Carlson supplies the printing industry and carry in stock one of the largest variety of Aerosol products in the country. 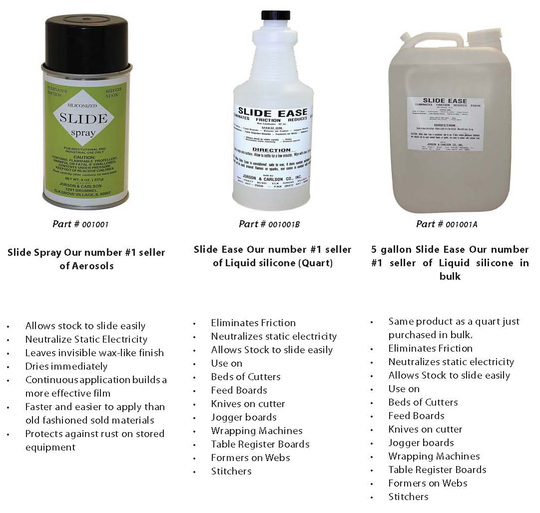 From our signature private label Slide to Glass Cleaner, Spray Adhesive, Solvent Degreaser, Spray Lubricant, Film Cleaner, Rubber Cleaner & Rejuvenator, Silicone Spray, Anti-Static Spray, Wipes and a whole lot more. 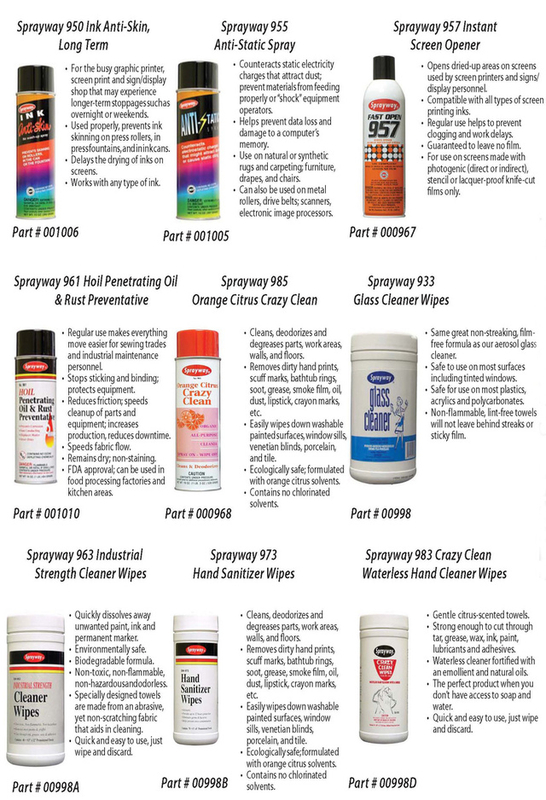 Below is a listing and description of our popular Aerosols, Sprays and Wipes. 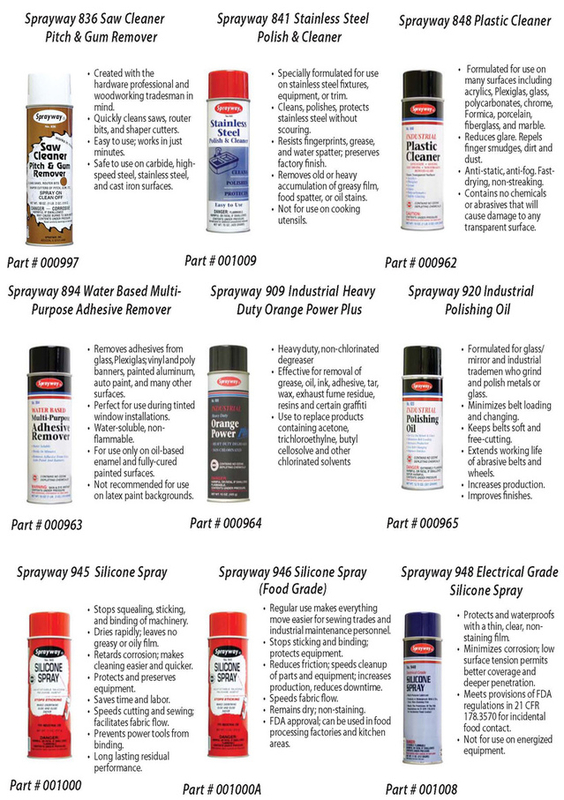 MSDS sheets are available for all of the Aerosols, Sprays and Wipes we supply. 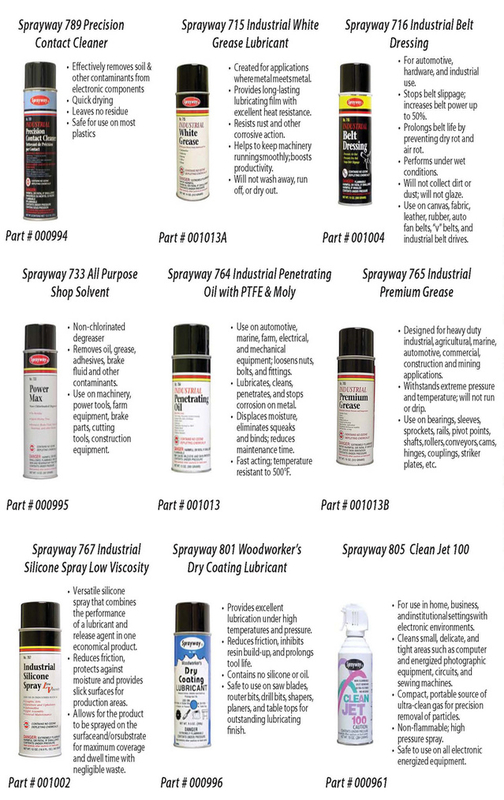 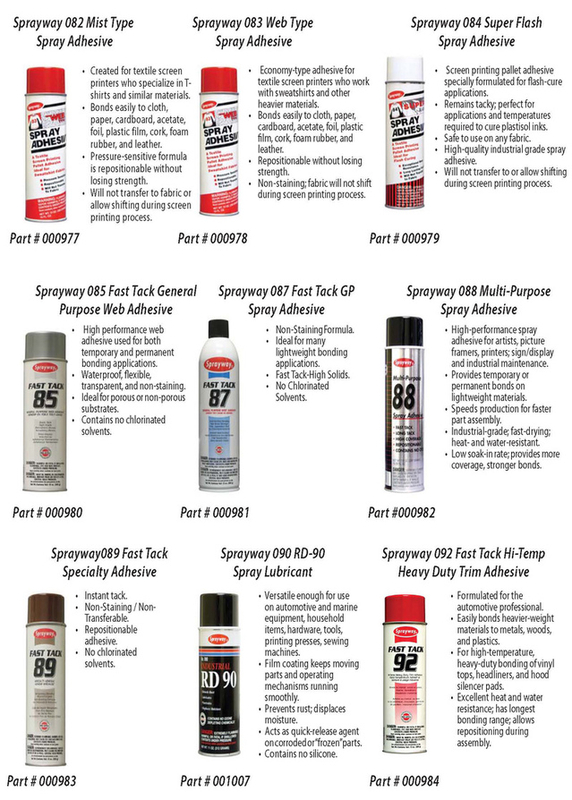 Jorson & Carlson is a proud dealer for Sprayway! 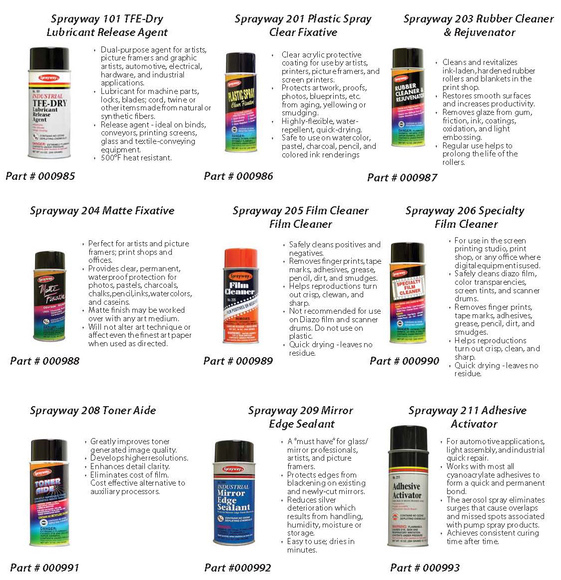 Call us at 866.327.5136 or email us with your inquiry for the Aerosols, Sprays and Wipes you use at your factility.